Hi - I am needing some help from you all out there who have travelled and are familiar with the Outback. My family and I definitely aren't but we are taking 3 weeks off to go on this amazing trip to Uluru in June/July. Just wondering if it is possible to include Broken Hill, Lake Eyre and travel the Oodnadatta track from Melbourne in a 4 wheel drive but with a trailer!!! I'm keen to see as much as possible as my kids are growing up and I've been promising this trip for 3 years now!!! I figure we can take the Stuart Highway one way and return another way. We are camping so definitely need the trailer...also have to book the camp site at Uluru and the Olgas - how late can you leave it to book? Let me be the first to give you some answers to your questions. 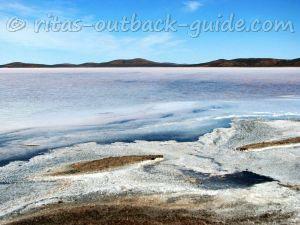 Sure it is possible to include Broken Hill to the itinerary, it is really worth the little detour. 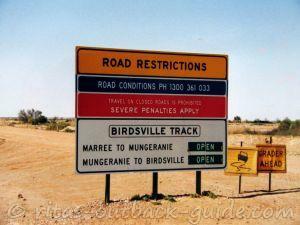 Then you would drive to the Flinders Ranges, to Marree, and along the Oodnadatta Track to the Stuart Hwy near Marla. You can also go via the Painted Desert from Oodnadatta. It really makes sense to drive the entire Stuart Highway only once. It is not recommended to take a trailer on the public access routes to the shore of Lake Eyre. You can leave the trailer in Marree or William Creek for a day trip to the lake. 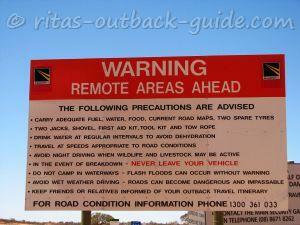 Uluru and the Olgas are both within the Uluru-Kata Tjuta National Park, and you are not allowed to camp in the park. The Ayers Rock Resort/Yulara is located outside of the national park, about 18 km from Uluru and 50 km from the Olgas. Here is more info about the camp ground in the resort with contact details, so you can ring them to ask if, and how long in advance, a booking is necessary. We didn't book when we visited, but that was a few years ago. 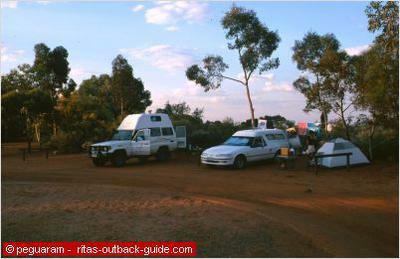 If you are looking for a guided tour at Uluru here is some info. Hope this helps you to get started for your preparations. On the bottom of the Stuart Highway and Driving Tips pages you will find many more related questions other readers have asked. I am sure you will find more useful info there. Don't worry, and enjoy the planning and your trip. I wish you and your family an wonderful trip, I am sure you will enjoy it. I'll keep my fingers crossed that rain won't spoil your adventure anywhere, and that you can see all the places you want. Would be great when you can give us some updates, but I know from own experience there is not much computer time on the road. Feel free to open a new post when you return, and tell us about your adventures, and add a photo of the wonderful green Outback. Just 4 more sleeps and we are going... I'm not sure where we are going to fit all our stuff. We hsve decided on staying in Mildura, then Rawnsley Park Station for two nights... we are going to do the 4WD Skytrek at Willow Springs which should be awesome. Then drive through Wilpena Pound and the surrounding Flinders Ranges on our way to Marree. Not sure which way we will visit Lake Eyre - as you have suggested will ask at Maree but hope to stay at the Muloorina Station near Lake Eyre and travel out to the water - hopefully... will then travel the Oodnadatta Track stopping at Coward Springs and all the other interesting places. 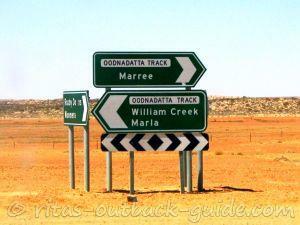 Stop at Oodnadatta then travel through the Painted Desert. All the while towing a trailer.. so hope that this is going to all be possible as it does seem to be a little on the wetter side and some of the road sites are suggesting some of these areas are only 4WD...as you keep saying we have to check when we are just about there!! Can keep you all updated as we go. yeah, you are doing nearly the same trip we did many years ago. We started in Adelaide, and had nearly 4 weeks, so we stayed everywhere a little longer than you can probably do. But you will be right with 3 weeks! 2 nights in the Flinders is great, so you have one day for sightseeing. 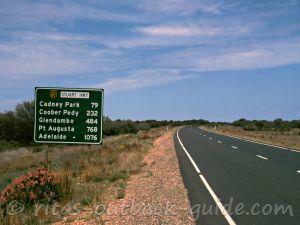 You can do a round trip to the gorges without the trailer, perhaps walk into Wilpena Pound, visit sacred canyon. Bunyeroo gorge is amazing, especially the view from the razorback lookout point. The first time we camped at Wilpena Pound. They have a huge caravan / camping area. The powered sites area was a bit cramped, but when you can do a night without power, you can find yourself a hidden spot under the huge trees and have breakfast with kangaroos. Rawnsley Park is also beautiful, smaller and a bit more personal. Prices are much the same, by the way. 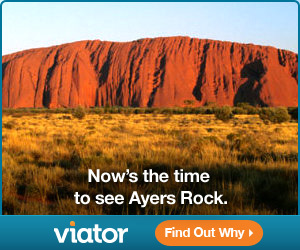 Two nights at Ayers Rock Resort are needed when you want to do walks at the base of Uluru and at the Olgas. There is really a lot to do there, you can take a camel ride, join guided walks, or explore on your own. Loved the short Mala Walk which we did at our own pace, bought an informational booklet at the visitor centre. But when you are already short of time, arrive early at one day, explore Uluru in the afternoon, and drive to the Olgas next morning before you leave, for Kings Canyon, I guess? We did the Mereenie Loop from Kings Canyon which was in good condition. 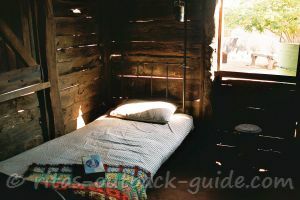 The plan was to go to Glen Helen for the night, but we wanted to see Hermannsburg as well. My husband's uncle stayed at the mission in the 1930s so it was a duty to go there. The road from the Glen Helen turnoff into Hermannsburg was awful, very rocky and bumpy. I thought it would break the car. As it was late afternoon, we didn't want to go back again and head for Glen Helen. Instead we drove to Alice Springs, and explored the Western MacDonnells on a day trip from Alice. However, you can really spend more time there, the gorges are beautiful, and a few have campgrounds. Your suggestion to see the Painted desert is a great one.. will add it to my itinerary. 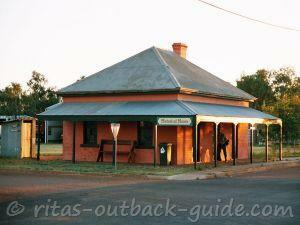 Do you think it's worth staying two nights in Flinders Ranges or just driving through and sight seeing as we go? 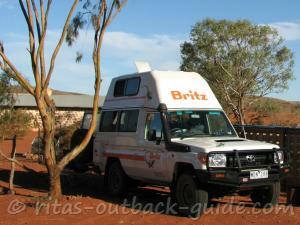 How many days would you recommend for Uluru and the MacDonnell Ranges - two to three nights at each??? Thank your your kind words, I am glad you love my website :). I agree with you, I would skip the detour to Broken Hill. 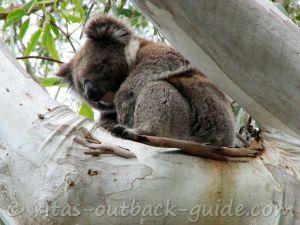 You can always explore this region on a separate tour from Melbourne. I am afraid the Flinders Ranges map is a bit outdated. The road from Wilpena Pound to Blinman is now sealed. The roads through Parachilna Gorge and along Brachina Gorge are usually okay for trailers. Just ask about the conditions when you are there. In my opinion the difference between a major and minor unsealed road is mainly the traffic on that road. Because of that you can expect that a "major" road will be repaired first after rain damage in the region. When you arrive in Marree you can ask at the roadhouse which access route to Lake Eyre is in better condition, where you would see more water, and decide then if you go from Marree or William Creek to the lake. Yes, I would exactly do the same, going from the Flinders to the Oodnadatta Track, then to Uluru, and back home along the highway. 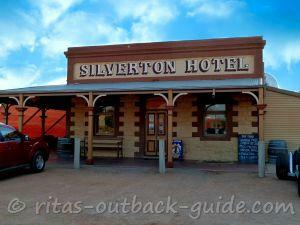 I would recommend to go from Oodnadatta via the Painted Desert to the Stuart Highway. 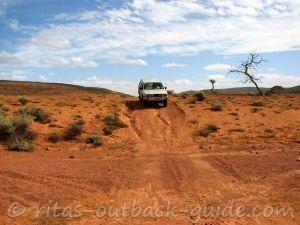 The scenery is more beautiful than along the last leg of the Oodnadatta Track.